I was standing at the counter shucking corn when a thought entered my mind…Where are my children and why are they not helping me? I mean, this was the highlight of summer for me when I was a child. I loved shucking the corn. Am I preparing my children for adulthood? Does this little task really matter in the grand scheme of things? Are they missing out? All of this over a few pieces of corn! Do you have thoughts like this too? I so hope I am not alone! What didn’t I do as a child that my mom did? Is it affecting me as an adult? Will there even be corn to shuck when my daughter is a momma preparing dinner one day? Why is the world changing so fast these days? What is the most important thing(s) I need to be teaching my children? Shucking corn was a favorite past time for me as was riding my bike around the neighborhood and coming in when the streetlights came on. My children do none of these things either. I loved reading books and watching Saturday morning cartoons (because Saturday was the ONLY day cartoons were on). Now there are thousands of channels and online streaming available and books on gadgets and audio books. 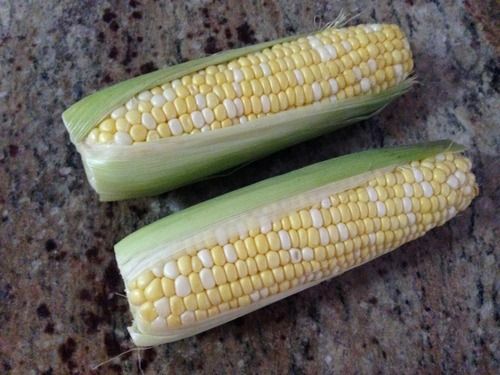 I often find myself getting caught up in the small things…like the fact my kids don’t shuck corn with me or spend countless hours reading because there is nothing else to do. And, I don’t think I am alone. I believe many of us try to compare yesteryear to today and honestly, it just doesn’t work. Within our church, our community, our nation and even the world, we’ve been asking God to send revival. We’ve been pleading. We’ve been organizing prayer meetings, organizing “revival” events. We’ve been seeking. And you know what? God has heard our prayers! He IS responding! God has opened up the heavens. He is answering prayers at rapid speed. The blind are seeing, the lost are being found and prisoners are being set free. The Lord is waging wars from the heavens against those who seek to harm His children. Do we honestly believe this? Do we know it in our core? Sometimes I don’t think we do. We could (but hopefully won’t) go on days, weeks, months and years praying for God to send revival. But why? God did not give me a very creative gift…i.e., I cannot draw for the life of me. Had he given me that gift, I would be drawing a cartoon to illustrate what I believe is happening in heaven when it comes to the question of revival. 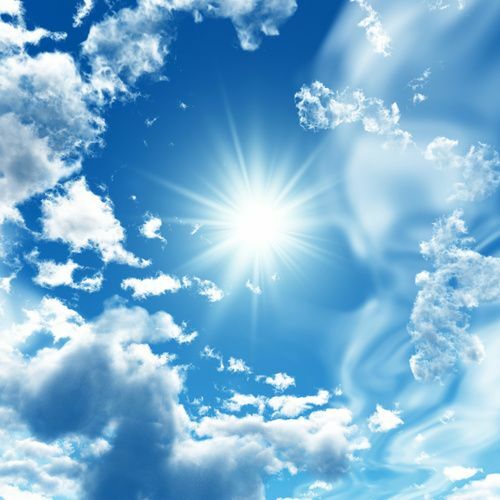 Picture this…God, Jesus and the Holy Spirit are holding a meeting in heaven. They all have a perplexed look on their faces and they are scratching their heads. I’ve struggled with this myself. I don’t really want revival sometimes. I just want Jesus to return so we can be done with this whole messy world. Recently, I’ve gone through scripture and history books about past revival events. I’ve looked at the First and Second Great Awakenings, the Azusa Street Revival, D.L. Moody’s amazing ministry and the works of Charles G. Finney, among others. And you know what I have found? They look similar, but different. Do you know the similarity they all shared? They started with a person. A person burdened enough to seek the Lord through prayer. Everyday, I am just amazed at the work that the Lord is doing in this world. I can pull up my Facebook feed and my Twitter account and see the many ministries in my city and around the world that are making a difference and leading people to Jesus Christ. It is not one person every month or so. No, there is life change happening everyday, everywhere in large numbers. What would D.L. Moody have done with 135,000 followers on Twitter? What about a revival event during the Second Great Awakening that had 30,000 in attendance? These are the numbers we have every day around the world. Yet, we think revival isn’t happening? Seriously?!?! We can’t just pray for revival, we need to actively seek to see His Kingdom come. We need to be engaged in the work He is doing. It needs to get us excited and cause us to lose sleep. I saw a post today by an Arabic speaking church planter that mentioned how many Iranians were baptized last year in that country even under the threat of persecution. I have friends serving the people of Uganda who are surrendering to Christ for the first time. I’ve attended youth events where hundreds of teens are crying out to Jesus instead of reaching out to the world. ISIS in Mosul is pushing Christians out, but I think God is moving them out for a far greater purpose than we can even imagine or ask for. And there is SO MUCH MORE! God is moving!! In order to see this, we must be willing to open our eyes. Psalms 69:32 says, “When the humble see it they will be glad; you who seek God, let your hearts revive.” As we seek Him, He opens our eyes to the fact that He has opened the heavens. We can’t see heaven through the natural eye. We can only see heaven through the supernatural eye. to your land in its season and to bless all the work of your hands. And you shall lend to many nations, but you shall not borrow. Remember though, our goal on earth is not to please ourselves, but to bring glory to God. He is using each one of us as instruments to bring His glorious message of salvation to the lost. Anyone who is not in a saving, personal relationship with Jesus is lost. This includes your child, your parent, sweet little grandma and grandpa, your friend, the grocery store clerk, your governmental representatives, your enemies and those who abide in some other religion or belief outside of Jesus Christ. This issue of being “dead” is not new. The Prophet Ezekiel had an encounter with God about the state of the nation of Israel back in his time (Ezekiel 37:1-14). God has revealed to us our “dry bones” as well. The Word has gone out and continues to go out and people will be saved before the return of the Lord. We need to stop just praying for revival. It is already here! God has answered our prayers. If He answered our prayers for a new car by giving us one, you better bet we’d be out driving that new baby around. Yet, He has sent revival and if we are not careful, the embers of the revival flame will burn out and we will have missed the opportunity to be a part of HIStory. Please don’t miss out! Engage. Be a part of something bigger than yourself. Friends, may your dry bones have life breathed into them and may revival engage your heart into action. We are living under an open heaven. Praise God! I Have My "War Room!"